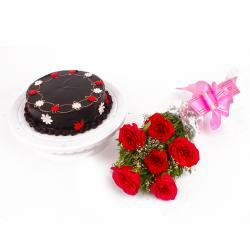 Product Consists: Glass Vase includes Twelve Seasonal Mix Flowers along with Half Kg Chocolate Cake. 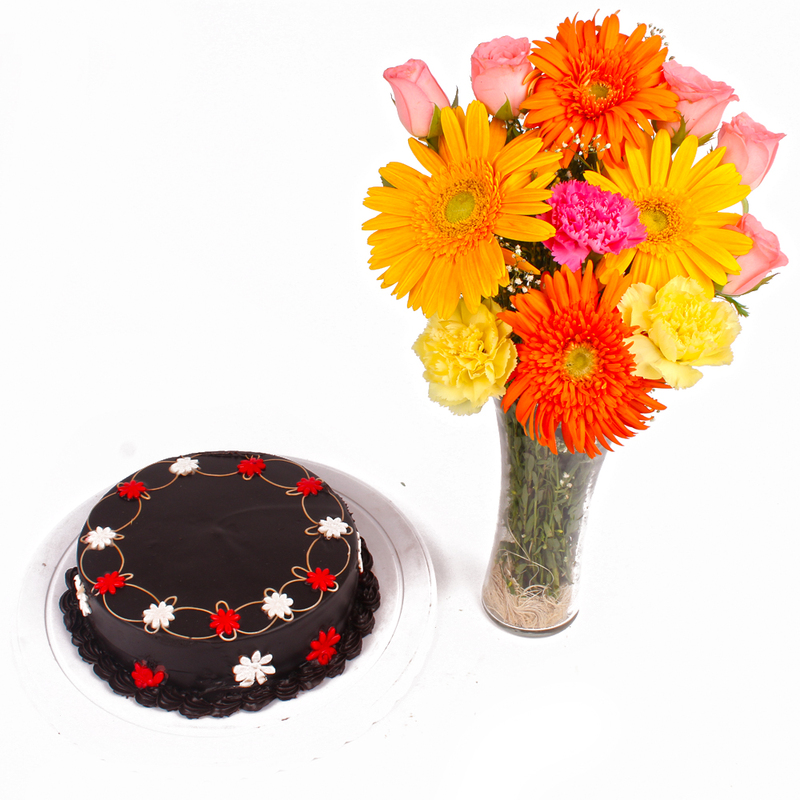 This delightful combination features yummy chocolate cake of the finest quality with Vase arranged of dozen flowers decorated with a green fillers. 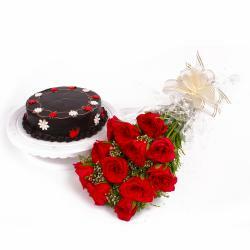 This delightful combination needs no occasion to send it to your loved ones. It is perfect for birthdays, anniversaries and thanks giving, get well soon, congratulations or any other excuses. Quickly send this delightful combination of good health and beauty to your loved ones. Thus send this hamper and bewilder your loving Indian counterpart along with other Gifts to India through Giftacrossindia.com. 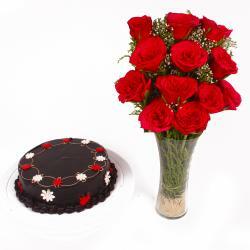 This gift hamper contains : Glass Vase includes Twelve Seasonal Mix Flowers along with Half Kg Chocolate Cake.